This home has tons of character and potential and has been updated throughout. 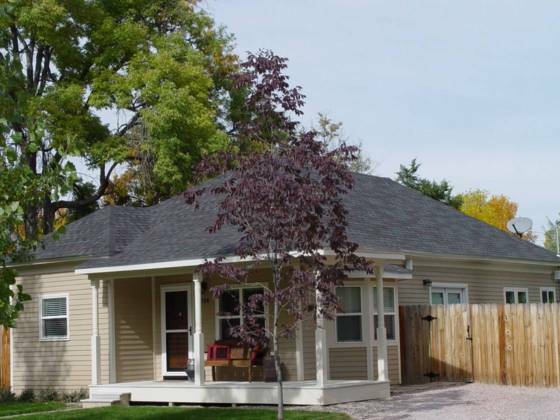 A 1246 square foot ranch style home with three bedrooms and two full baths. Wood flooring in the kitchen, dining room, living room and all three bedrooms. Kitchen with granite countertops and stainless steel appliances. A/C, sprinkler system, privacy fenced yard, 24 x 17 concrete patio, 16 x 9 covered front trex deck and a 12.3 x 12.3 storage shed plus alley access and no covenants.